A new study published by the British Medical Journal has found that drugs are cheaper and purer than ever before, despite an increase in drug seizures, indicating that the drug war has been a complete failure. They came to this conclusion after using “international drug surveillance databases to assess the relationship between multiple long-term estimates of illegal drug price and purity.” They found that in every nation studied, drug prices (adjusted to account for inflation) have dropped considerably over the past couple decades, and drug purity has risen significantly. This is despite the fact that major drug seizures have “generally increased”. 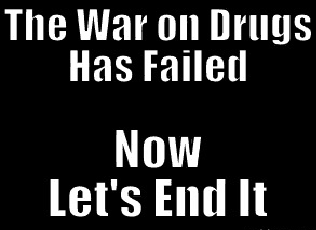 These results make it clear that the drug war has absolutely failed in some of its primary goals, something which isn’t hard to believe, given that the drug war has done nothing to diminish the presence of drugs in our society. The study was conducted by researchers at the BC Centre for Excellence in HIV/AIDS in Canada, as well as the University of California.